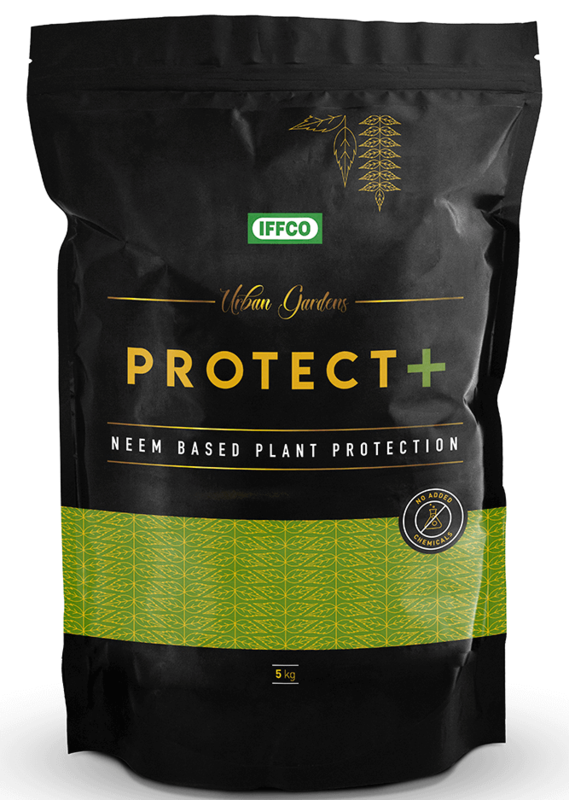 is a unique product designed to provide protection to the plants from soil-based pathogens, nematodes and fungus. It is a tailor-made product, which contains Neem and bio-pesticides for natural crop protection. It protects crops for prolonged periods due to slow release and systemic activity. This product acts as a natural soil conditioner and contains organic nutrients for the plants. Natural protection from pests and diseases. Slow release of essential nutrients. Safe for earthworms, bacteria and other beneficial micro-organisms. Ideal for use in the kitchen garden and on other house plants. In order to apply it to potted plants, take 30 grams of Protect + for per 3kg soil pot. Sprinkle and mix with the topsoil. Use 10–15 grams of Protect + after every 10-12 days. Store it a cool and dry place. Keep away from direct sunlight and below 35 ° C.